We have begun to get quotes for the bathroom renovation. I can see that this is going to be a long process. We've already started with the "what ifs". The first what if was really quite sensible. 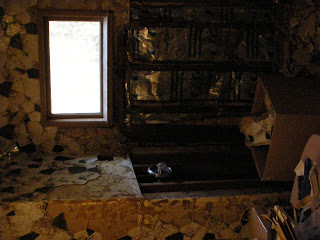 What if we replace the window before we re-tile the bathroom? The window isn't failing but it nearly forty years old and has had some repair to rot outside. It is also a sealed unit. It would make sense to replace it now with a venting one and I think we should have another Marvin awning installed. So the budget expands, and the timeline extends. Then there is the vanity question. We have a floating vanity in this bathroom that I love. 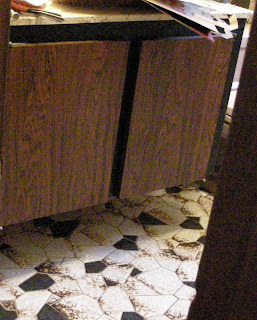 My original plan was to keep the unit and junk the marble top but we have to take the unit out to strip the tiles behind it so will it stand up to this treatment bearing in mind it is laminate? Can I find another floating vanity that I like at a price I can stomach? And as for a not-hideous medicine cabinet, why are these things both ugly and outrageously expensive? I'm beginning to regret starting this and there is a long way to go. Renovation should be fun and I'm not feeling it.